BUG bovine ultrasound goggle – see the ultrasound image in front of your eyes and stay safe by keeping your peripheral vision. It is comfortable enough to wear all day without strain. BUG goggles allow you to see the ultrasound image right in front of your eyes. Versions are available for binocular and monocular viewing. 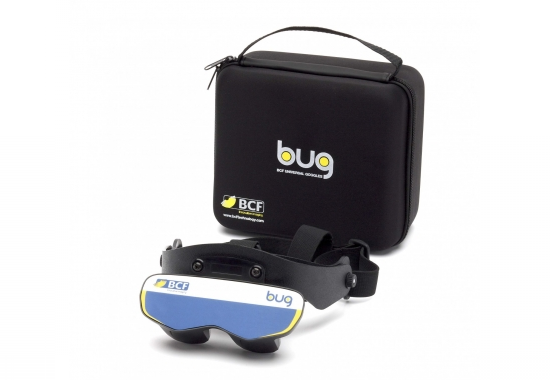 BUG goggles have high contrast and brightness that are optimised for the grey scale imaging of an ultrasound scanner. BUG goggles are worn on your head in a way that maintains your peripheral vision while scanning. This allows you to be fully aware of both the animal and your surroundings, which minimises the risk of injury while scanning. Designed for on-farm use, BUG goggles are tough and reliable. 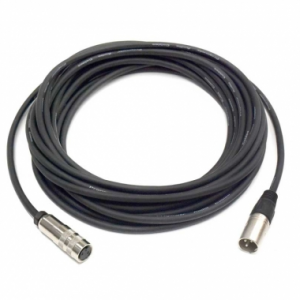 As well as being dust and splash-proof (IP65 sealed) they can also be used across a wide temperature range. mounted which means they can be worn for long periods of time without causing strain. The headband is very flexible and easily adjusted for different users. The side pivot allows the eye pieces to be adjusted up and down for different users or while you are not scanning. BUG is a binocular using the very latest OLED (Organic Light Emitting Diode) technology, providing the highest quality image available even in bright sunlight. LCD BUG is a binocular providing a softer, more familiar image using LCD (Liquid Crystal Display) technology. VGA BUG is a binocular providing a softer and larger image using LCD technology.